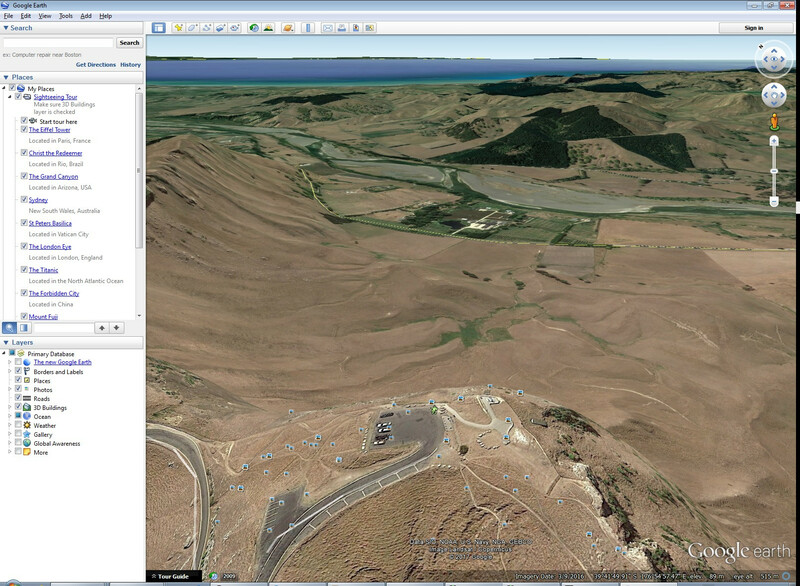 In the discussion area, it looks to be from an area in Te Mata Peak in Havelock North, New Zealand. Here's a similar view from Google Earth (you can see the exact coordinates in the lower right corner). It looks like the photographer used a wide angle lens and the sunrise really brings out the contours of the valley floor.